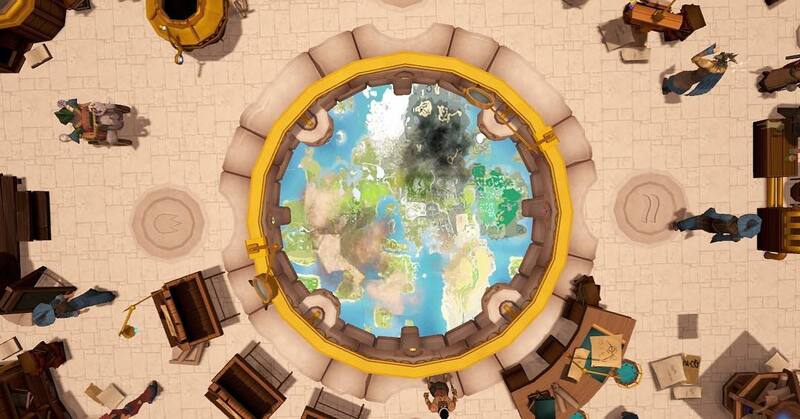 Welcome to what is in fact the last weekly update from the RuneScape team of 2018! Not that we'll be switching off the game servers, locking the doors and heading home in the snow, of course - RuneScape stops for nothing! But while the game and the teams that support it will plough on through Christmas, our site updates will wind down for a short period. 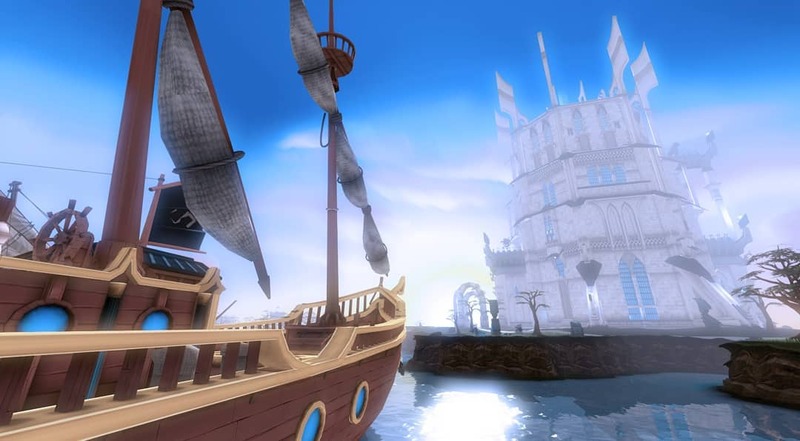 Expect to hear from us again first thing in the New Year, where we'll be all relaxed and recharged and fuelled by renewed optimism and vigour, ready for what we're sure will be a fantastic 2019 for RuneScape and its amazing players. As for the here and now, however, on top of our many ongoing Christmas events, this week will also see the arrival of a brand new seasonally-appropriate quest! Did you know Santa hates going down chimneys? He's got terrible claus-trophobia. Strap in because that's not the last of it we're afraid. Head to white wolf mountain (Taverley side) and talk to Violet. Our festive quest, Violet is Blue, arrives today (December 17th)! As with Broken Home a few years ago, we've decided to make a permanent new quest rather than a temporary event. Because it's permanent, you could at some stage down the line be playing it in the middle of summer, so it won't be overtly Christmassy. But it will be seasonal! There'll be snow, family and celebration. It's been ten years since the quest Myths of the White Lands launched, and to celebrate that incredible milestone we're going back to the Land of Snow for our new quest. That's where you come in. Her mum and dad fear that she might not be accepted, so they need your help in making her trip the most magical adventure it can be. It's a puzzle quest, but with a twist. You need to get Violet from A-to-B, but getting there alone isn't quite enough - this needs to be a magical journal that Violet will cherish forever. 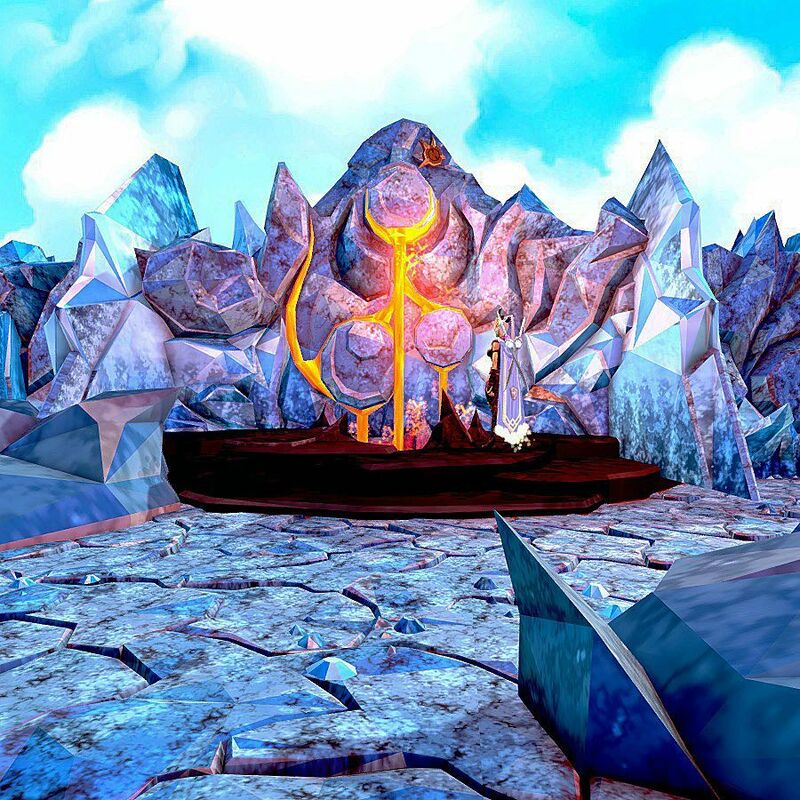 This is a novice quest with no requirements, so is available to all RuneScape players. There's also additional post-quest XP available for high level players to make sure it's well worth your time. Why did the choir cancel the carol singing service? They all caught tinselitis. Anyway, make sure you head over to the Grand Exchange today for a smattering of seasonal treats! First off is the return of the Christmas Cracker. Work together with your fellow players to prize open our huge cracker and win yourself a present. The cracker will be available to open around once per day, and to take part you must have contributed 100 festive papers. And yes, opening the cracker itself will also be a quicker process this year! Don't worry if you're not online the moment it is opened - if you've contributed, you can grab your reward at any time while the event is still active. Oh, and do keep your eyes peeled for Santa. He'll be at the GE along with his sleigh offering players the chance to grab some sweet XP. He will also happily explain how to access all of RuneScape's Christmas content and, if you're lucky, even tell you a joke. 'Tis indeed the season to be jolly! Make sure you're extra nice to Santa, too. We've heard he has terrible 'elf esteem. Who's Rudolph's favourite pop star? Beyon-sleigh! We hope you've been enjoying the Winter Weekends so far. The good news is there are still three to go! There's Gathering & Support on December 21st-24th, Minigames on December 28th-31st and then Player Owned Farm & Farming on January 4th-7th. You can check out all the details about what to expect here. What do reindeer hang on their Christmas tree? Horn-aments. We'd be over the moon if you'd join us on our official 18th Birthday Livestream on January 4th at 4pm GMT over on our Twitch channel. Several of our most popular Jmods will be on hand to talk about the good times we've had and the better times we hope are ahead. There may even be *whisper it* a 'surprise' quiz. Please do feel free to share the love on social media using the #RuneScape18Years hashtag. We'll have more details about the stream a little later. The patch notes for the last update of the year can be found here. Competition - Skybox and Filter Screenies Winners! Time has come to announce the winners of the Player Gallery we've run on Instagram to celebrate the freshly released Skybox and Filters with advanced custom options. Thank you all for the amazing number of screenies we've received! And here are the winners! If you've been selected, please send us an email on competitions@jagex.com to claim your prize. Throughout all the duration of Premier Club, we're offering you the chance to win a Chillblast Gaming PC or a Razer Phone 2! We'll also throw in 6 months of RuneScape membership for good measure. Entering our Winter Sweepstakes couldn't be simpler. All you have to do is follow the links below and fill in the competition form for a chance to win. It's as simple as that! Both "RuneScape: The Orchestral Collection" and "RuneScape: Original Soundtrack Classics" albums are available in your favourite record stores and online retailers globally! You can also grab them on the official merch store on vinyl and CD. If you pre-ordered them from Laced Records store then they should already be winging their way to you right now! And don't forget that you can also listen to all the music from the four RuneScape albums released to date on all major digital streaming platforms. Where to listen and buy? If you've been watching our livestreams, you must know that it's a great opportunity to grab some awesome in-game prizes. This December, as we've got all eyes on the free festive daily gifts brought in the Advent Calendar, we thought that somehow, it wouldn't be enough... that's why December LootScape is ever more Lamps, Stars, DG Tokens and goodies goodness straight from Santa's workshop! Each and every stream watched will give you a guaranteed random drop from one of these: Prismatic small fallen star, Prismatic medium fallen star, Prismatic small lamp, Prismatic medium lamp, Spirit Ruby, Spirit Diamond, Advanced Pulse Core, Spring, Silverhawk down, Medium DG Token Box, Small DG Token Box, Uncut Dragonstone, Large Cash Bag, Medium Cash Bag, Small Cash Bag. Each week, we host developer Q&As, exclusive in-game first looks and more. And it's all live on our Twitch channel, join us! Missed a stream? Don't worry, we keep them all on our YouTube channel. Be sure to Subscribe to be the first to know. Time to wrap up the numbers and take a look back at 2018! Shauny's got a whole bunch of fresh data ready for you, and boi we didn't expect some findings. What are the PvM top killers per boss? The Top boss killer times? Or maybe you'd be more interested in some statistics from the Grand Exchange? Well, don't miss this stream! What do the elves cook with in the kitchen? Utinsels. We promise that's the last one. 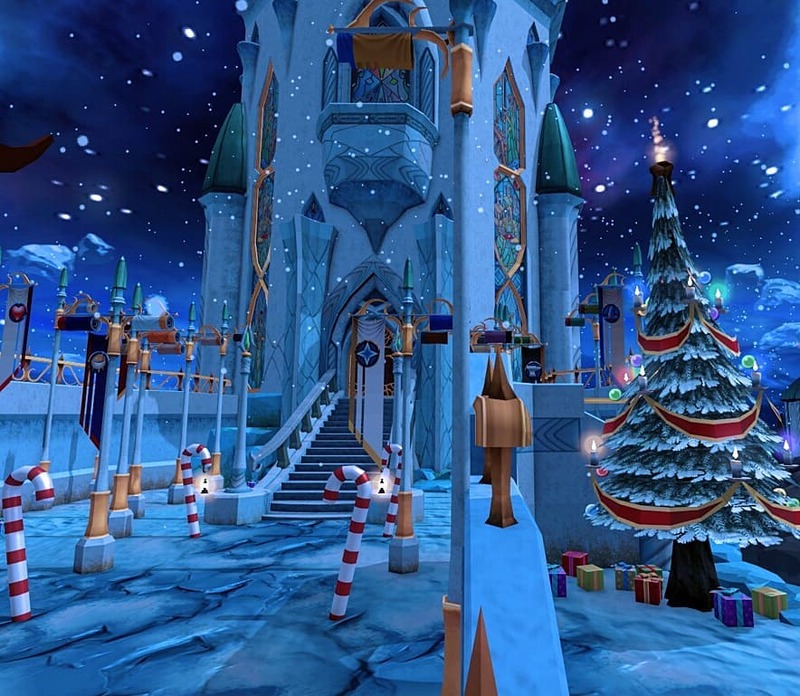 We hope you all have a fantastic festive break and New Year - maybe we'll bump into you in Gielinor? See you in 2019!